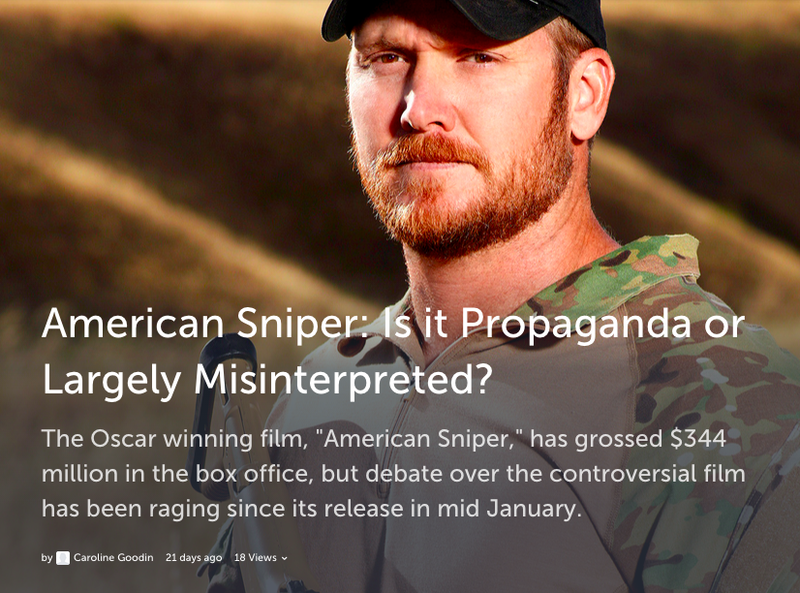 American Sniper has many viewers assuming the film borders on political lines even though this was not director Clint Eastwood’s intention, and it has created unrest between the left and right, angering the left over the debated Iraq War and war hero, Chris Kyle, and rallying the right to defend it. But has anyone actually studied the film by itself to understand the promoted message without being influenced by the overwhelmingly political controversy surrounding it? Caroline Goodin does just that.